Google Maps’ location sharing feature works great for when you want to keep track of where your kids are, or to locate your friends while on a road trip. It’s now got a tiny update that makes it a lot more useful. 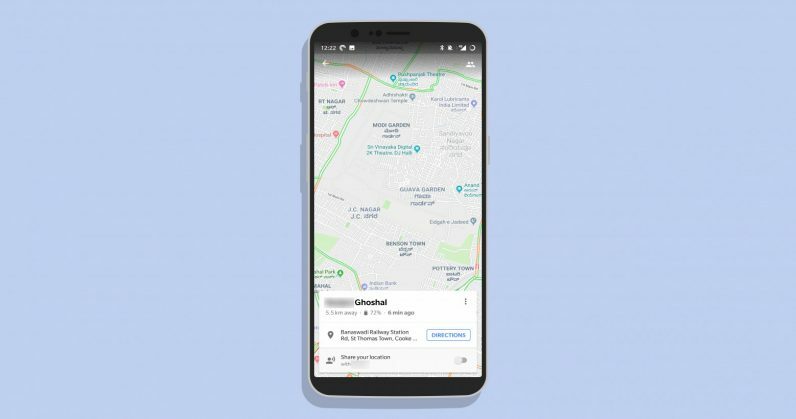 Now, when someone shares their location with you, the Maps app will not only show you where they are, but also display their phone’s battery status. That way, you’ll know if their phone is about to die and stop updating their location. Similarly, you can also infer why their phone isn’t reachable. The feature is now live on Google Maps’ mobile apps, so you can try it right away.